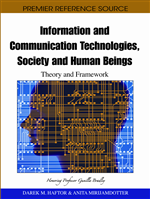 The chapter addresses services rendered by message transforming functions of computer programs. It starts by critically looking at some earlier ways to explicate these. It then presents an alternative approach on which to base such explications. Applying this approach it suggests some explications. The chapter ends with some conclusions. When computers were introduced message processing was understood according to a rationalistic approach. This to a considerable extent is done even today. It should not come as a surprise. The rationalistic tradition follows a common Western and particularly Anglo-Saxon tradition. Resolving a problem, or rather a problematic situation is described as achievable by following these three steps. Circumscribe the situation in terms of identifiable objects exhibiting well defined properties. Look for general rules to this class of recurrent situations in terms of those objects and properties. Apply these rules logically in order to resolve the situation. These steps are generally applied by analysts and artificial intelligence specialists after brief consultations of a few people concerned. These, and a lot of their colleagues, are intended to act upon the decision support given by a computer. In practice recurrent situations seldom are so homogenous and easy to capture in general laws as this approach presupposes. The approach has been criticized, for instance, in Winograd and Flores (1986). Simon (1957, chapter 14) suggested a radical revision the optimizing “economic man” of the traditional economic theory. He suggested that an “economic man” only could look for satisfactory solutions to his decision problems. His reason was that man had a limited capacity and time for generating action alternatives and to evaluate them. Still, even Simon’s “economic man” belongs to the rationalistic tradition. Winograd and Flores (1986) orient the reader about the limitations of a traditional, rationalistic view on computer programming. Here I will focus on a different approach to services computers can render, which they suggest. They conceive computers as tools for conducting a network of conversations (ibid. pp. 172-173). They “distinguish conversations for action” from “conversations for possibilities” (ibid. pp. 151-152). By this they attempt to safeguard the autonomy of human beings as actors. At the same time they also broaden the view on rationality of human action (ibid. p. 145). Approaching computer support they focus on coordination of human action. Coordination they identify as the central task of managing broadly understood. They present their description of a conversation for action in the form of a state transition network (ibid. pp. 64 – 66). They end their book by outlining a kind of computer tool, based on their theory of management as conversation (ibid. chapter 11). They call this tool “the coordinator”.